Life at B-school / MBA Seminars, events and festivals. Bengaluru: With over 700 participants from 40 colleges across the country, Symbiosis Institute of Business Management’s annual management festival Revelation 2016 ended on a grand note. Participants from top-draw institutes including Indian School of Business (ISB), IIT-Madras, IIT-Kharagpur, Jamnalal Bajaj Institute of Management Studies (JBIMS), Symbiosis Centre for Management & Human Resource Development (SCMHRD), Management Development Institute (MDI) and Christ University took the level of competition a notch higher this year. The flagship event Colossal Clash (Best Manager) was won by Abhinav Unnikrishnan of Narsee Monjee Institute of Management Studies, Mumbai, after 30 rounds of intense grueling in all aspects of management. Shivam Babel and Arjun Jayaram of Narsee Monjee Institute of Management Studies, Bengaluru, clinched the marketing event Markovation, overcoming stiff competition from Christ & JBIMS. Puneet Gupta, Payoj Kisan and Jeremy Charles, Dhiran Bhojwani of ISB Hyderabad clinched Provenance (Operations) & Finascere (Finance) events respectively. Saita Elekar and Disha Juwarkar of Welingkar Mumbai took home title of Prime Cohorts (HR Event). Each of the events had their own unique touches, related to their respective fields. The Marketing event had a round where participants had to pitch for personalities taking up contrasting positions for instance – Mallika Sherawat as the secretary general of the United Nations. The operations event took participants back to the drawing board, where they were needed to use Lego blocks for their presentations. In the cultural events, RV College of Engineering clinched the title in the dance event Razzmatazz, while the band Space is All We Have were the clear cut winners for Euphony, the music event. Alliance University with the theme women’s empowerment bagged En Vogue, the fashion show. The winners walked away with a prize pool of Rs 2.5 lakh including a sports bicycle and other merchandise. We would like to thank our sponsors who made the event possible: Action Sports: Sports Partner, SlimRide: Ride Partner, Radio Mirchi: Co-Sponsor, Scolarian Bikes: Best Manager Sponsor, Furtados: Gear Partner, Game PRO: Gaming Partner, Frogo: Gift and Activities Partner, Style Studio: Styling Partner, Cash Karo: Marketing Event Sponsor, Sitara: Food and Beverages Partner, Resonance Studios: Recording Partner, Wicked Ride: Pit Stop Sponsor, Just Shawarma: Associate Sponsor, Evolve: Hangout and Café Partner, Play Arena: Associate Sponsor, Prozene: Online Quizzing Partner. 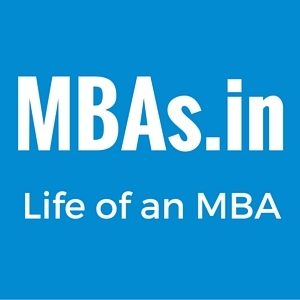 Previous story What should a good B-school be like?